Danna Colorblock Tunic Just $16.99! Down From $40! Shipped! 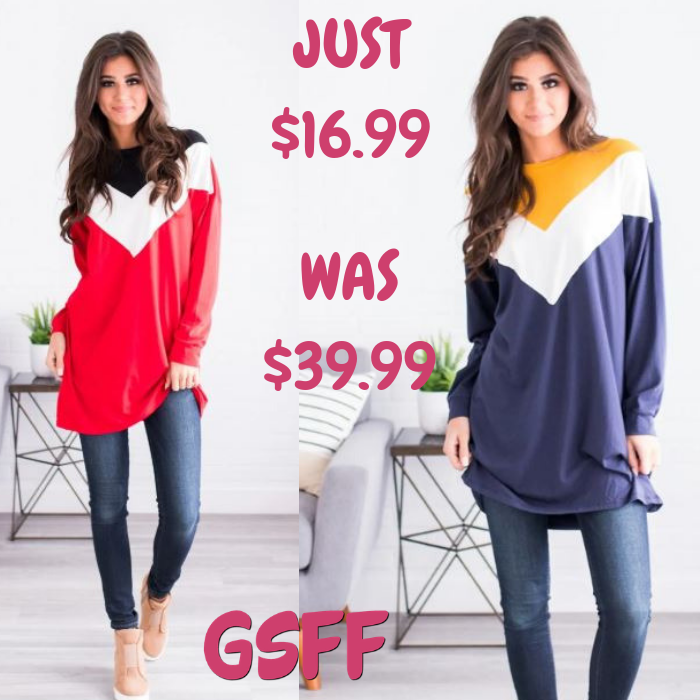 You are here: Home / Great Deals / Danna Colorblock Tunic Just $16.99! Down From $40! Shipped! Head over to Jane where you can score this Danna Colorblock Tunic for just $16.99 down from $39.99 PLUS FREE shipping! Contrast and colorblock designs are some of the favorites this season, and this Danna Colorblock Tunic is no exception! With the color block design, the super soft fabric, and oversized long fit our tunic will quickly become a closet favorite! Wear it with your favorite pair of skinnies and you’re sure to be comfy and look great!